When a sleek, contemporary solution is in order, the Lufe Round cylindrical linear vanity bath light by Tech Lighting is the answer. Its soft, energy efficient integrated LED light delivers 2700K or 3000K at 90 CRI. The lighting fixture's rounded backplate cleanly cradles the Frosted Acrylic lens and complements the circular end caps along with cleverly hidden hardware to finish the look. The Lufe Round bath light comes in a choice of either a Polished Chrome or a Satin Nickel finish. 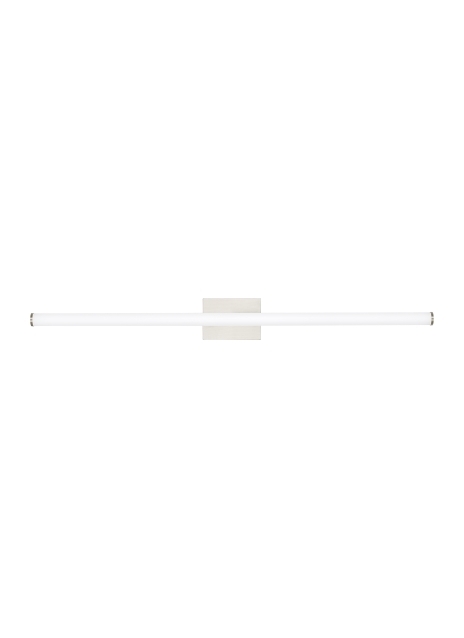 Lufe Round is 5" high with a 3.2" extension, making it ADA compliant, and it's available in three lengths. 24", 36" and 48". All are damp-rated and dimmable.